Whitestown, located in Oneida County just west of Utica, has population of about 20,000. It is named after Judge Hugh White, a settler. Michaels & Smolak has represented many injured and malpracticed residents in Whitestown and the surrounding Oneida County area, including a client who sustained cervical fractures after in a rear-end car crash. 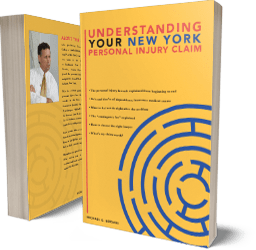 The medical malpractice and personal injury attorneys of Michaels & Smolak have earned top ratings for their expertise in the field. They have obtained the highest possible rating in the prestigious Martindale Hubbell lawyer directory, and all four of the firm’s lawyers have been designated “super lawyers” by Law and Politics magazine. The lawyers of Michaels & Smolak travel to Whitestown and surrounding areas to meet with their clients, cut clients are also welcome to meet the lawyers in one of their offices, which are located in Syracuse, Auburn and Liverpool. Directions to the firm’s Syracuse office can be found HERE.